The folks over at AgilePoint has invited me and a few other SharePoint community MVPs and “VIPs” to spend a few days with them at their company headquarters this upcoming Friday through Sunday. What for you ask? To find out what they’re all about! Well, not only that but to also help them execute on their growth strategy as a member of their very selective partner circle. From what I understand, I’ll be helping you guys better understand the technology behind how AgilePoint works and through the partnership with 6th Street Consulting, hopefully I’ll get to work with you implement some AgilePoint goodness as well. Good question. According to their website they specialize in Business Process Management Systems (BPMS). How’s this different from say K2 or Nintex workflows for SharePoint? Honestly, I don’t know yet. But I’m eager to find out! 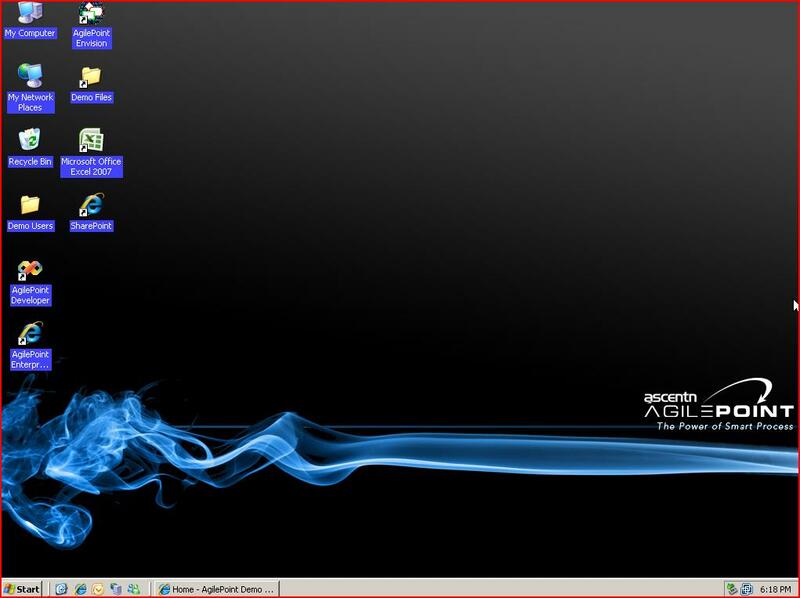 How does this integrate with SharePoint? How long have you been working with the AgilePoint software? Exactly 3 hours, 12 minutes, and 37 seconds. Aside from that, I truly am quite surprised that they have been around for a few SharePoint iterations now and seem to be doing quite well whereas I’ve seen many other vendors come and go. What are some of AgilePoint’s competitors? So while I’m out there for 3 days doing deep dive BPM stuff, do you guys have any questions you have for/about AgilePoint? I’ll get you the cold hard facts and answers. Promise. 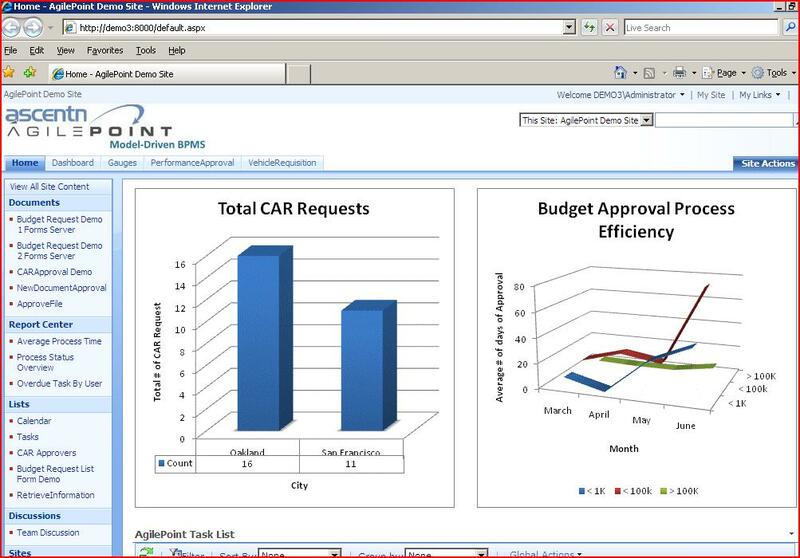 Screenshot of an AgilePoint dashboard. I’m looking for a simple Help Desk system that integrates with MOSS. Does AgilePoint have this already created or is it something that will have to be created? I think the product looks awesome, and we are slowing getting to workflows, but I have to stick to my tasks of finding a simple help desk system. Hey CC, depending on you exact requirements, using SharePoint Lists would work for a help desk solution as well. You would then use AgilePoint to extend the capabilities from basic data management within lists to more robust process engineering.